Etisalat's main theme this year at GITEX Technology week is focused on 'Driving the Digital Future to Empower Societies'. This is built on our vision to provide futuristic solutions and services that will have a fundamental impact on people's lives. UAE is witnessing an increased adoption of advanced technologies and Etisalat is taking a giant leap by launching the 5G network, investing in futuristic technologies and smart services. The 'future of mobility' is one of Etisalat's key focus areas this year as traditional mobility ecosystems are getting diversified with various technological and social forces making an impact and bringing in a radical change to our way of life. This includes the emergence of connected and autonomous vehicles, which will have a profound impact on the way people interact in their daily lives. 5G will be one of the key highlights for Etisalat in showcasing the future of urbanism and mobility. 5G will be a game-changer for the telecom industry with its rich potential, an evolution that would elevate services, performance and enablement. Such new technologies are one of the gateways enabling UAE's digital aspiration/vision, market trends and Etisalat's long-term strategy. Our theme this year will provide visitors tangible insight into the rapid advancements in technology, network, services and mobility. This will play a key role in building the next generation of smart city innovations and is relevant in driving that change to open doors to the future of urbanism. Etisalat has demonstrated strong commitment to sustaining its technological leadership by investing in emerging and next generation technologies. Etisalat's investment in 5G technologies is a prime example that has gained relevance because it is considered a major enabler for the next generation of broadband service and the internet of things, which is growing exponentially due to the global adoption of connected devices. With its implementation, 5G will provide opportunities for economic growth and massive developments in the areas of ICT infrastructure, education, employment, transportation and more. Within that context, we had a successful launch of the first 5G fixed broadband experience in the region. A commercial 5G network was deployed in certain locations within the UAE. This year, Etisalat had some significant initiatives that set global benchmarks in supporting UAE's 2021 vision, which identified digital technology as one of the top seven primary national sectors. Etisalat's main objectives from 5G are to generate incremental 5G revenue via new use cases, adding value to shareholders and delivering world-class customer experience. Expo 2020 is a testimony to our efforts in 5G, which became the first 5G major commercial customer in MEASA (Middle East Africa and South Asia) through its partnership with Etisalat. Such an implementation is a declaration of a new era of digital connectivity and an acknowledgement of 5G's rich anticipated potential. The fifth generation of network will deliver faster speeds and lower latency. It will be a critical building block in the economic competitiveness for the UAE. 5G service availability will provide high data rates with ultra-low latency, which will far exceed the current 4G, providing unlimited access to all kinds of applications and services and will drive innovation, efficiency and productivity to a wide range of business and industrial sectors of the UAE. For the enterprise segment, Etisalat is mainly focusing on IoT opportunities for 5G and will work closely with various verticals, including smart health, security, financial and transportation. For consumers, Etisalat will be reviewing the evolution of a number of opportunity areas, including: AR/VR gaming, 4K streaming, smart homes, high quality content downloading, etc. Etisalat has laid a solid foundation the past year to invest in futuristic solutions and next generation technologies to deliver the best-in-class services while maintaining our focus on digital transformation, and making a significant impact on the overall customer experience. Our results in the first half of 2018 showcased our ability to lead and innovate, amounting to a 6% increase in net profit year over year (AED 4.3 billion). Etisalat has always believed in innovation and technology transformation with the backbone of a robust and one of the most advanced, fastest and widest networks in the region. Infrastructure investments have been key to this growth and leadership in the market. In 2018, we have continued investing in the modernization of mobile and fiber optic networks, and infrastructure development through investments in future technologies such as IoT, artificial intelligence and 5G. Our continuous investments over the years have led to major achievements like the 3G network coverage reaching 99.98% while 4G LTE covering 98.98%. Fiber-to-the-home (FTTH) coverage has reached 94.3% of homes across the UAE, thus maintaining the UAE's position as a global leader in FTTH, according to the latest international report from the FTTH council. Etisalat's network cloudification is considered one of the key innovation projects in the coming year. This will bring in efficiency as we will be able to deliver services in a more cost-efficient manner compared to the current model. 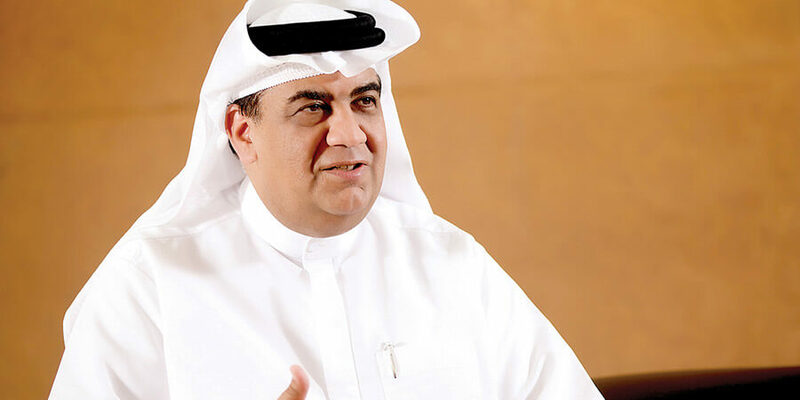 In the past few years, Etisalat has evolved into an ICT service provider by enabling an ecosystem with an advanced network and futuristic solutions like artificial intelligence and robotics. The UAE ranks number one in digital adoption among Middle Eastern countries having implemented core digitization initiatives. As a company, our vision 'Driving the Digital Future to Empower Societies' is focused on making this digital future a reality by facilitating innovation, creativity and bringing technologies of the future to all of our customers across our markets. Our infrastructure plays a key supporting role in the country's ambitions to get digitally competitive and bring in digital transformation. UAE today leads in the global ICT competitive index mainly due to the continued development and increased adoption of digital strategies in various projects and initiatives implemented. Thanks to the vision and efforts of our leadership, UAE has achieved this global recognition due to the transformation of the country across different sectors. For instance, blockchain technology will transform the way services are delivered and the workplace will become completely paperless. The adoption of blockchain would help the government prepare for future challenges. Over 50 percent of the UAE's federal transactions would be powered by blockchain 2021. The UAE has chosen to adopt the development of the 'future industry' in various aspects as means of development. Artificial intelligence will also make a major impact in our way of living. Connectivity of people and things will be ubiquitous, and the use of robots and digital personal assistants will become commonplace. As part of our digital journey and strategy, we believe in investing in the future that will lay a foundation of ideas; this has led to an investment in our next generation of entrepreneurs and innovators. Our partnership with government-supported accelerator programs is a testimony to the company's belief and philosophy that we have to work hand in hand with the next generation by providing them the building blocks to create and innovate to make digital future a reality. Etisalat is currently working with entrepreneurs to increase customer adoption of digital self-care channels thereby enhancing customer experience and reducing 50% calls to Etisalat customer care using artificial intelligence, analytics and insights, and machine learning. Artificial intelligence is going to be the game-changer in business contributing $96 billion to the UAE economy by 2030 - nearly 13.6 per cent of its Gross Domestic Product (GDP). It is most likely that automated transport will be the norm, and people will no longer differentiate between a 'cloud' and a 'local'. As for play and leisure, the use of robots will become commonplace as with human augmentation. The government's continuous endeavor to drive smart solutions across existing urban systems relies on integrated and interconnected strategies, and systems to effectively provide better services and increase quality of life. Globally policymakers and business leaders have begun to recognize the need for more and better collaboration between public and private sector. Over the past year, Etisalat has worked hand in hand with various government and non-government partners to launch initiatives that will enable them to achieve their smart city goals and empower people through technology. As an example, Etisalat partnered with the Ministry of Interior to link homes and establishments in the country by connecting the fire alarm system to the civil defense control room reducing response time in emergencies. Etisalat Digital's M2M Control Center solution will be used for an advanced metering infrastructure project backhauling and communication by incorporating M2M connectivity and enabling the M2M portal for thousands of smart meters. These endeavors targeted a wide array of critical social concerns. In the era of 'going digital', governments, businesses and consumers today are beginning to see the value of digitalization with the increasing presence of transformative technologies in their day to day activities. With the evolution of technology, today's investments are focused on innovation to create dependable products that enables distinctive experiences and spread happiness in all segments of society. Our infrastructure plays a critical role in creating this collaborative framework focused on the values of giving, empowerment and actively working closely with the public sector. Role of cloud computing and data management for the economic marketplace of the futureCloud will provide the digital infrastructure for tomorrow's cities, expected to have 6 billion of the world's population by 2045. Smart services, autonomous driving and drone technologies - all will be better managed with the cloud's ability to store and analyze data. The UAE cloud service market will see increased adoption by financial services, hospitality, media and entertainment, oil and gas and retail sectors. In the past year, cloud has played a significant role in our business services; as well, the new Secure Cloud WiFi delivers the power of visibility and automation. Moreover, Etisalat made considerable progress on its path toward virtualization, with the launch of the Etisalat Telco Cloud, becoming the first operator in the region to virtualize the mobile core for consumer data traffic, virtualizing the customer premises equipment (CPE), and the Business CPE via the virtual service. This has planted seeds for the growth of agile products and services capable of self-care and auto-healing. With the 5G network, IoT and the cloud will also facilitate digital growth and transformation for the company. Data management in this scenario will become a key basis of competition, underpinning new waves of productivity growth, innovation - as long as the right policies and enablers are in place. With the rapid growth of data and analysis, the rise of multimedia, social media and IoT will fuel exponential growth in data for the foreseeable future. In today's competitive scenario, Etisalat has focused on identifying new growth areas, combining the great potential of digitization and our existing core competencies to improve customer experience and generate new revenue opportunities. We have continuously re-invented ourselves to grow our presence with innovative technologies, adopt digital transformation strategies to streamline operations, and continue to make major investments in future network technologies. Etisalat's overall corporate strategy has always enabled us to consistently push boundaries, by responding swiftly to the global digital advancements and proactively delivering cutting-edge services and solutions to our customers. Etisalat has maintained a diverse and effective business model, offering added value to our customers to meet and exceed expectations by launching a variety of innovative offers and services. End-to-end digitization will both complement and enable our focus areas, which will center on key technologies such as big data, artificial intelligence and robotics. Collectively, these efforts will yield a portfolio of stronghold operations that will maximize shareholder value.